NYTF 2016: That’s a Wrap! Here is quick guide to all the image galleries, videos and news we posted over the last 5 days. 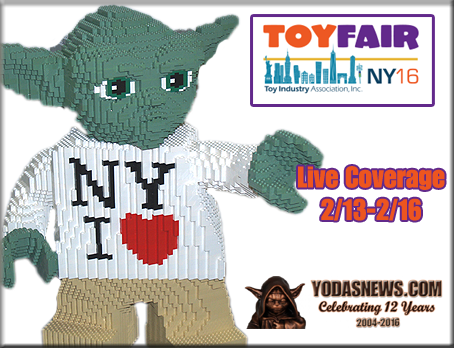 This was our 11th year covering Toy Fair and it was a great time as always! It’s always cold, it’s always crazy and it’s always expensive but it’s also loads of fun! Check out the summary and direct links below to each report for anything you may have missed! See you next year! └ Tags: NYTF 2016: That’s a Wrap!